Amazon.com: Olympia Rolling Duffel Bag only $24.39! 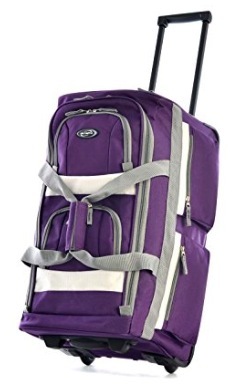 Amazon has this Olympia 22 Inch 8 Pocket Rolling Duffel Bag in Dark Lavender for only $24.39 right now! This is the lowest price since 2016! « Get a Message Bar Necklace for only $4.99 + shipping!